USDJPY is currently seen trading around 113.90 up from session lows of under 113.65. Overall the Yen gained 0.2 percent against the US Dollar on Wednesday. Japan's Nikkei 225 is currently down 0.10 percent as the Yen rebounded against the U.S Dollar, a day after the benchmark index hit a 26-year high. 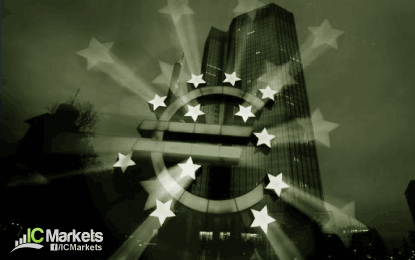 EURUSD had touched a nearly four-month low of 1.1552 yesterday in the wake of disappointing German industrial data. Currently the EUR is seen valued at 1.1586 against the US Dollar down from session highs of 1.6050. Overall the EUR is down 0.2 percent against the USD. The dollar index, which tracks the dollar against a basket of currencies was flat and is currently valued at 94.92. The yield on 10-year Treasuries slid less than one basis point to 2.313 percent. AUDUSD reached as high as 0.7659 earlier in the session on back of a weaker dollar but have since given back and is currently seen trading around 0.7645 as the China October trade data was below expectations. Similar to the Aussie, the kiwi rose as high as 0.6919 against the US Dollar but has since given up its profits and the NZDUSD is currently seen trading around 0.6922.